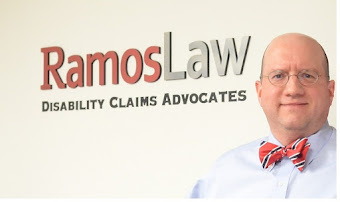 At RamosLaw, we believe that disability lawyers should take full advantage of social media to inform and educate the community that they serve. Social media has given lawyers a platform to reach communities that historically have had very little access to legal representation. In the past, disabled individuals who were denied coverage by disability insurers such as Cigna, MetLife, Unum, the Hartford and many others, didn't know who to turn to when their benefits were denied or stopped. Many of them would go unrepresented and some didn't know how to, --or simply couldn't--, advocate for themselves. Disability insurers were aware of this, and took advantage of claimants who were unrepresented or were represented by lawyers who didn't have any experience working in ERISA cases. Now, thanks to the availability of information on the web, disability claimants have much more information available to them. Moreover, they know that there are lawyers throughout the Nation that can represent them without any up front legal fees.